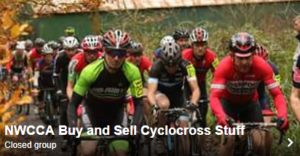 Apart from a full day of NWCCA league racing for all age groups, an invitation-only Elite race will be a brilliant finale to Round 1 or the 3-race Rapha series. The current and former national champions will lead their teams in the first of three races in the Rapha Super Cross series. Hope Factory Racing and current National Team Champions, Hargroves Cycles-Specialized-Trant-Next, will be racing on three specially designed and challenging courses, starting with Brockhole House, Windermere, in a week’s time. The big rivals of the series, Hargroves Cycles-Specialized-Trant-Next, headed up by 2009 National Champion and current National Trophies Series Champion, Jody Crawforth, and Hope Factory Racing, lead by current National Champion, Paul Oldham will be competing to win a share of the £6000 prize money. Other confirmed Elite teams are Wiggle, Charge Bikes, Wheelbase.co.uk-Cannondale and Vicious Velo, with more to be announced. In the U23 category the surprise package may come from a team of youngsters representing Rapha. The team has been put together by Great Britain Team Manager, Phil Dixon, and boasts a talented group of U23s. The Rapha Super Cross Series is bringing three days of super-charged cyclo-cross racing to the UK, inspired by the speed and atmosphere of the US cross scene. The three events are perfect for all members of the family and entry for spectators is free. Expect entertaining racing for children and adults, free cowbells for all (expect a lot of noise! ), music, frites, a beer tent and trade stalls. All three courses have been designed with both spectators and competitors in mind. Windermere has a true Belgian feel to it, with three climbs and other natural hurdles, whilst Huddersfield is a technical, man-made course with a testing banking. Alexandra Palace needs no introduction. A legendary venue, last used 20 year’s ago for cyclo-cross, it is a hillside course including a flight of steps and woodland. For novice riders the Alexandra Palace course boasts a few tasty challenges. An optional tequila shortcut chops a corner out of the course but involves an obligatory shot, plus riders will be dodging marshmallow missiles and water pistol attacks. An under 12 race is included at all three events and at Windermere there will be an additional fun circuit for younger kids who would like to have a go (bring a bike and a helmet). Look out kid, you’re gonna get hit. Super Cross 2011 from Super Cross on Vimeo.